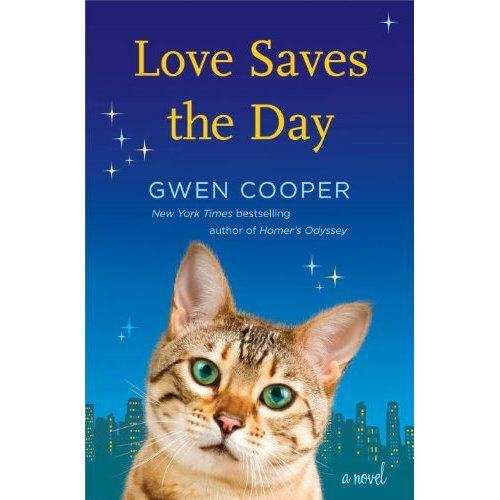 Gwen Cooper’s Love Saves the Day is one of the most touching cat books I’ve ever come across. 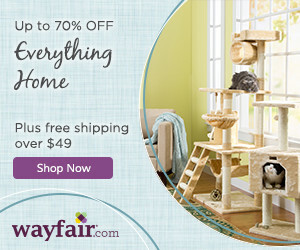 This hauntingly beautiful story about how one small cat can change multiple lives is narrated primarily by Prudence, a brown tabby rescued from a deserted construction site on Manhattan’s Lower East Side. Prudence is a keen observer of humans and knows them better than they know themselves at times. This sweeping novel, with Prudence at the center, covers the music scene of the 1970s in Lower Manhattan, the issue of what happens to pets whose guardians die, the real life event of a building on the Lower East Side that was demolished in 1998 and plays a pivotal role in the story, and a complicated mother daughter relationship that crosses several decades. Cooper weaves all of these threads into a beautiful, cohesive whole. Click here to read my full review of Love Saves the Day. 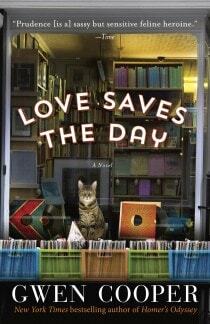 If you haven’t read Love Saves the Day, now is the time to purchase the paperback. And if you’ve already read it, this is a great time to get extra copies as holiday gifts! Gwen Cooper is donating 200% of her royalties on all paperback sales through Sunday to Blind Cat Rescue & Sanctuary, Inc. in memory of Homer, who passed away in August. Homer’s life is, of course, the subject of Gwen’s book Homer’s Odyssey: A Fearless Feline Tale or How I Learned About Love and Life With A Blind Wonder Cat. The paperback version, which came out October 22, got a brand new cover. I asked Gwen which cover version she preferred. “I have to admit that I’m more partial to the paperback cover,” she said. “I just love the store in the picture, and the cat in the window as if she’s inviting readers to join her inside, and I think that overall it conveys a lot more about the setting of the book. I think my publisher did a fantastic job with it.” I have to agree with Gwen. What do you think? Which cover do you like best? Love Saves the Day is also available from Barnes & Noble, Books-A-Million, your local independent bookseller (if they don’t have it, you can ask them to order it,) Target, and Costco. I look forward to picking up Gwen Cooper’s new book. Homer’s Odyssey was such a wonderful read that I’m sure both books will make excellent gifts. Speaking of which, I’m betting a couple of my favorite senior citizens would enjoy these books on audio. Whew, that a couple of gifts checked off my holiday list! You will love this book, Dorothy, and both of Gwen’s books make wonderful holiday gifts!